Dr. Mizukawa has strong passion and energy to support children in slum of Kenya. Today, we had the meeting with Minister of Counseller of Hon Paul to discuss education issues and share Dr. Mizukawa's idea with him. It is a wonderful and honorable time for us. Other than that, we were also able to meet H.E. Ambassador Maina as well. He showed very heart-warming courtesy to Dr. Mizukawa because his health condition is not good due to his heart disease. 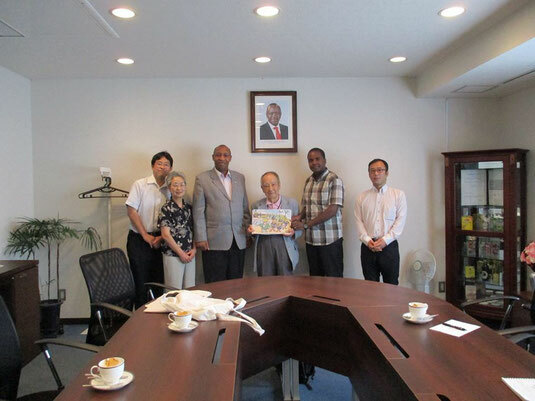 For the last but not the least, we have to show our deep appreciation to Dr. Emmanuel, President of Kenyans in Japan Association. Without his support, we will not be able to have today's discussion.